Home » Post Archive » PokerStars Forever Tarnished by UIGEA? PokerStars Forever Tarnished by UIGEA? As the top-ranked online poker site by a wide margin, PokerStars has done a number of things right in outdistancing itself from the competition. In the almost 12 years of its existence, the site has developed a large following of players who seem extremely pleased with the wide range of cash games offered, the enormous action and prize pools available in tournaments, the award-winning customer service team, and a VIP loyalty program that keeps the multi-table grinders glued to their monitors attempting to achieve Supernova Elite status. Brownie points were also given to parent company Rational Group for successfully negotiating the deal to purchase Full Tilt Poker and bail out the millions of players who were in jeopardy of losing millions of dollars. But despite all the things that the company has done right, the one matter that people tend to focus on is PokerStars’ countinued servicing of the U.S. market after enactment of the the UIGEA in 2006. Indeed, one of the reasons PokerStars has managed to capture over 50% of the online poker market was due to remaining in the U.S. and establishing a large customer base. Players the world over interested in the largest tournament prize pools and table selections flocked to the site in huge numbers and have allowed PokerStars to remain on top for roughly the last seven years. Yet PokerStars continues defending itself to the continued “gross misrepresentation of our conduct and the values with which we run our business, which we feel obliged to correct,” CEO Mark Scheinberg stated in an email to the Wall Street Journal. That conduct includes the alleged flouting of the UIGEA. But it must be remembered that PokerStars never admitted any wrongdoing in settling the allegations put forth by the U.S. Department of Justice in the Black Friday indictments. And PokerStars also received a somewhat back-handed blessing from the DoJ upon signing the agreement that allowed the company to purchase the assets of Full Tilt Poker. The DoJ stated that PokerStars was free to apply to operate within the U.S. once it was legal to do so. That day is now here with legalization in three states. But as was evidenced in New Jersey when the American Gaming Association filed a petition attempting to keep PokerStars from acquiring the Atlantic Club casino, virtually ignoring the UIGEA may come back to haunt PokerStars for years to come. It seems the only way PokerStars will be able to overcome the stigma attached to its name is to fight the perceived “bad actor” status in a court of law. Obviously, they allowed U.S. players to log on and play at their site following the UIGEA’s passage. There is no getting around that. But PokerStars’ lawyers can contest certain language of the law itself, which is somewhat vague in clarity. 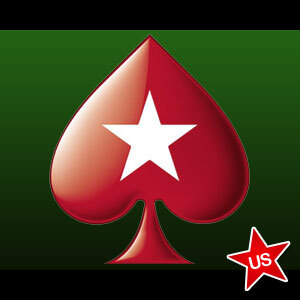 If PokerStars hopes to enter the U.S. market in the near future, I suspect that day will come sooner rather than later. The company is certainly doing a number of things correctly. Being voted one of the best places to work and attracting a loyal following of players, just to name a couple. However, until PokerStars is able to remove the blemish from its name due to the UIGEA, many will view the site as the bad boy who gained their dominance by disregarding U.S. laws.